As an astronomy nerd, I remember the last solar eclipse that was really visible in my area. It was in elementary school, I believe, and I remember all the preparation needed to properly see the phenomenon, though I think it was cloudy and we didn’t actually get to go outside and watch it. 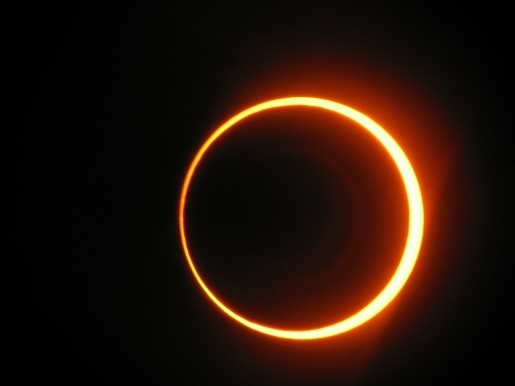 The year 2011 will be noteworthy for solar eclipses of various strengths, with the first partial eclipse of 2011 to happen on Tuesday in Europe and Asia. “It will be a run-the-mill partial solar eclipse, but it’s more fun than a lunar eclipse,” said astronomer Jay Pasachoff from Williams College. Still, the noteworthy aspect of 2011 won’t be the type of eclipse, but the number of them. There will be four in 2011! The last time that happened was 1982; the next time that will happen will be 2029. For optimal viewing of the eclipse, where you have to get up depends on your area. The eclipse will be a morning phenomenon throughout most of Western Europe, with the eclipse hitting London and Paris in the morning and covering about 3/4ths of the sun. In Asia, the eclipse will occur around sunset. Sweden gets the best view of the eclipse, with 85 percent of the sun being obscured.